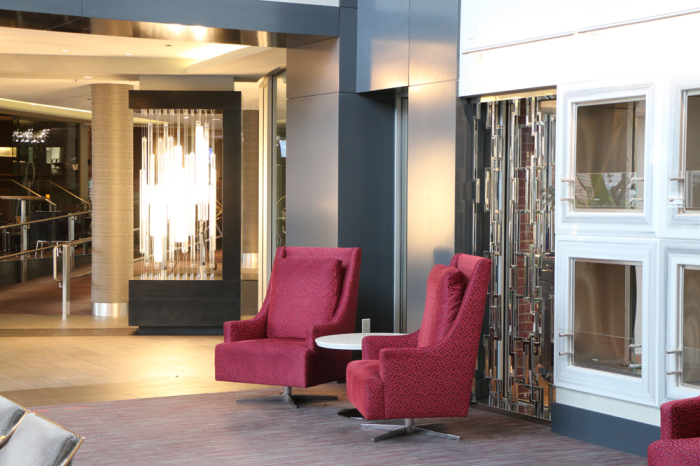 The Royal Sonesta Boston completed a major renovation in October, which includes a redesign of 200 guest rooms; a brand new lobby featuring a new coffee shop and cocktail lounge; and new waterfront meeting and event space overlooking the Charles River. Renovation construction was completed by Benchmark Construction Services, Inc.of Middleboro, Mass., a long-standing Sonesta Group partner. 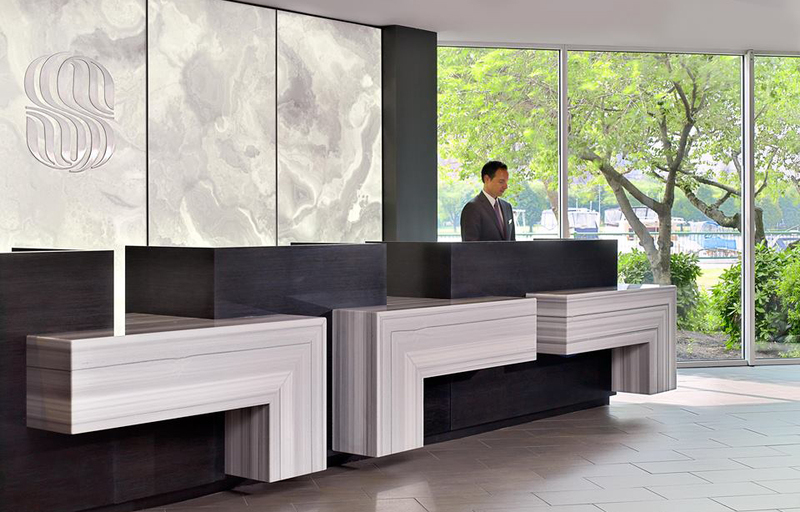 One of is the leading hospitality contractors in the Boston area, Benchmark Construction utilizes cutting edge technology to implement the sophisticated designs that distinguish Boston area hotels, restaurants and public spaces. 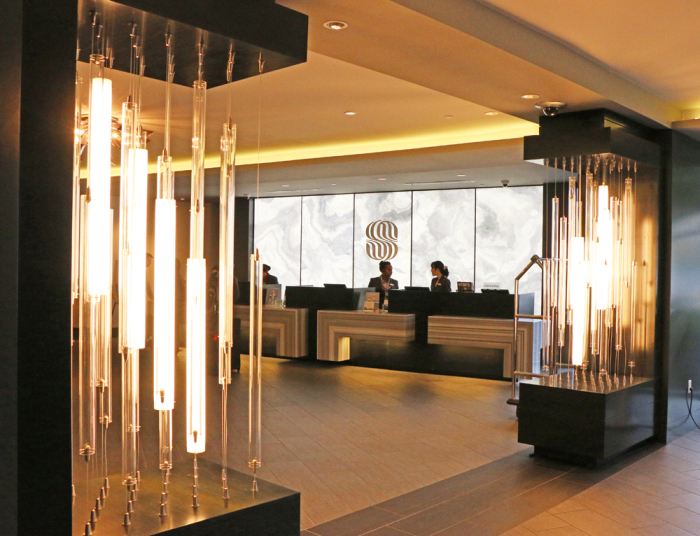 Royal Contract Lighting created two key elements for the Royal Sonesta’s newly designed lobby: the sculptural tube chandeliers, and decorative metal screens. 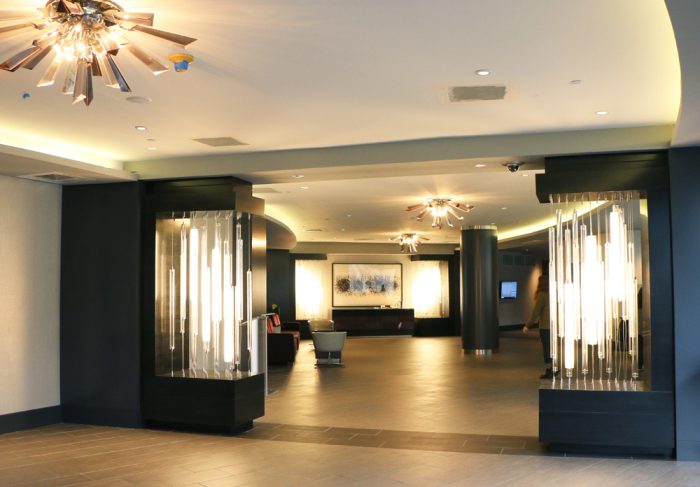 The six tube chandeliers feature clear and white lit tubes that are suspended at different heights. The resulting fixture reflects a growing trend in hospitality lighting – fixtures that function both as sculpture and lighting. 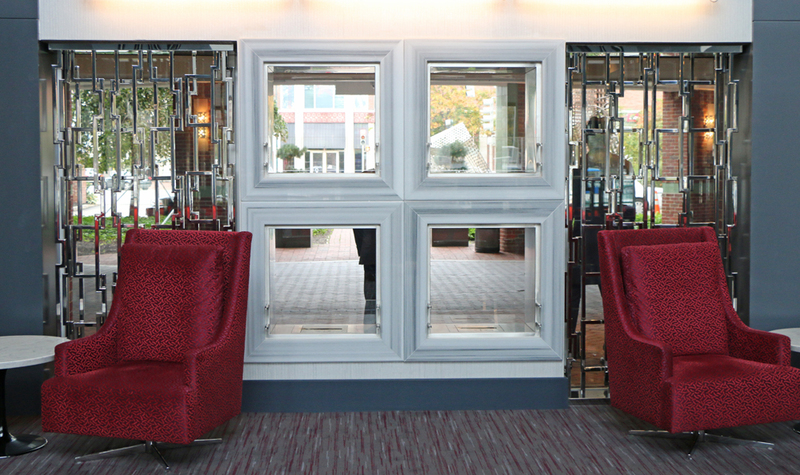 The two mirror-polished stainless steel screens frame conversation nooks in the hotel lobby. 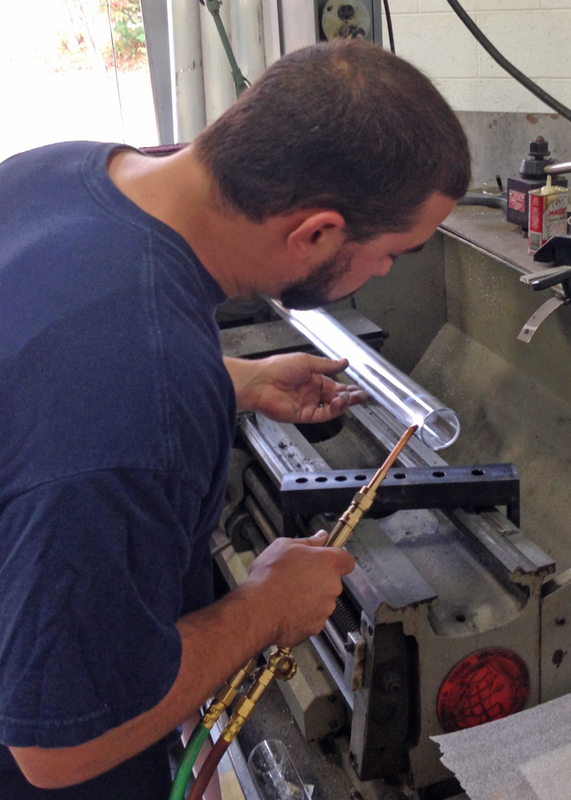 Also fabricated in our Taunton factory, the 7-1/2’ tall by 4’ wide screens are carefully crafted with the same quality standards and attention to detail that have become the hallmarks of our domestically produced lighting fixtures. Due to our inhouse production capabilities, more of our design clients are commissioning custom built architectural features in addition to lighting fixtures for their hospitality projects. 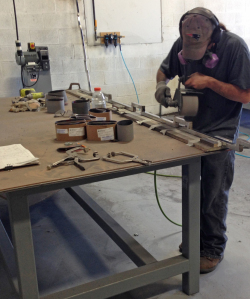 If you would are interested in touring our Taunton facility to learn more about our custom fabrication capabilities, please contact Paul Spacek at 617-536-5108 to schedule an appointment.